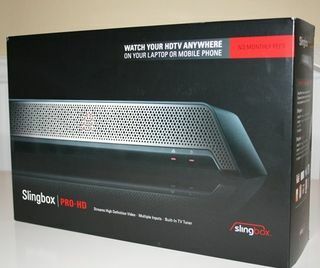 And thanks to the very generous folks at Sling Media I have another Slingbox PRO-HD unit to give away to a lucky reader of my blog. To be entered into the drawing, just leave one comment on this post with your full name and a valid email address and I’ll pick one lucky winner at random on Sept 15th. You must have a U.S. postal address as I will not ship these overseas. Congrats to Jim Doyle who won the last drawing. HUGE thanks to Sling Media for the boxes! Congrats to Steven M. from Washington who won the drawing.